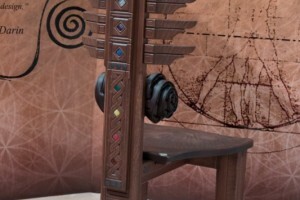 Open Consciousness Chair is made of oak, walnut, leather, hand hammered nails and semiprecious stones. Classical carpenter`s jointing are used, strengthened with screws for wood. 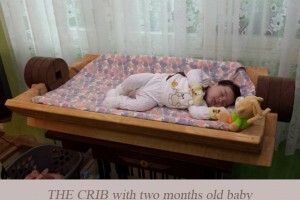 Sliding of the seat is assured for the movement of the massive wood in its linear contraction and extension to there isn`t bursting and bending. 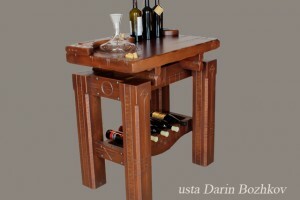 Stain for wood, patina and natural oils with hard wax are used for superficial treatment. Open Consciousness Chair steps on three points. The back is simultaneously and a hind leg with a width, guarantied stability. The seat is made of walnut – material with fine structure, making sensation for mellowness. It is hand curved with precise slope to the back. The soft leather volume rolled in spiral form ensure the support in lumbar area of the spinal column. It`s not upholstery. It`s a form, a part of the whole and it takes part in building the ergonomic line of Ackerblum. The three horizontal elements of the back ensure its necessary slope and there bow envelops the chest and hold it sideways stable. 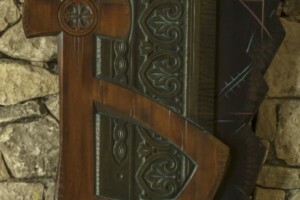 The details of the chair are made round for its security using. For Open Consciousness Chair`s design are used sizes of MODULOR of French architect Le Corbusier. These sizes are connected with proportions in the human`s body and make attitudes in golden section. The human`s body like module connects us with Space sequence and Sacred geometry. 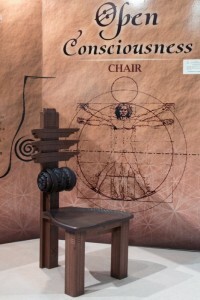 Open Consciousness Chair is an spatial interpretation of one universal symbol from antiquity – (epsilon with two hasta). 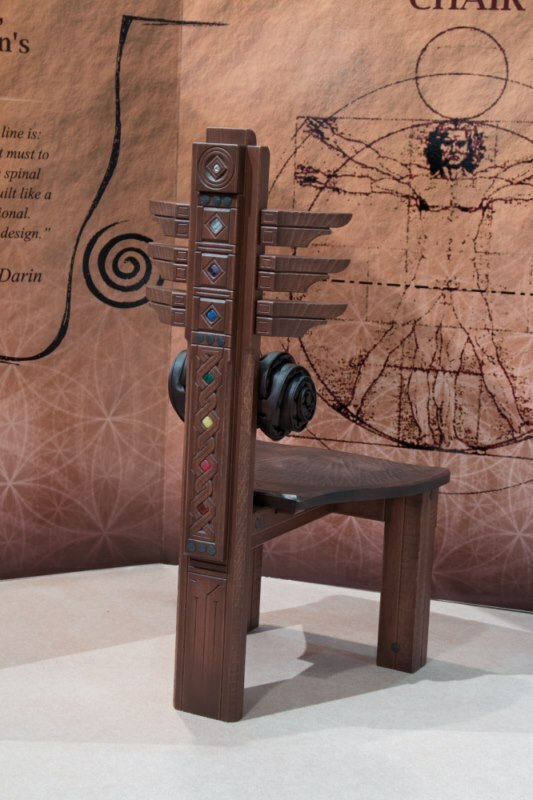 This defines Open Consciousness Chair like sculptural form with symbolic character, having independently sounding. and its place is an accent in the interior. An accent, which has a suggestion for antiquity and stylishness in the present day. 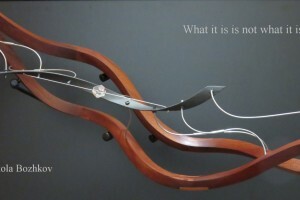 An accent, which can enter itself in the space of an over modern interior by the principle of the contrast or its place to be differentiated as we differentiate a place for a sculpture or for a picture. The epsilon with two hasta symbolizes the balance of the two archetype models of the dualistic beginning and their manifestation on material level, when the male and the female beginning are equally placed. When the Wisdom and the Power are in harmony – then be born the Beauty. This is the principle of the Space creativity. Sacred geometry, space proportions, symbol of the harmony and not only!!! 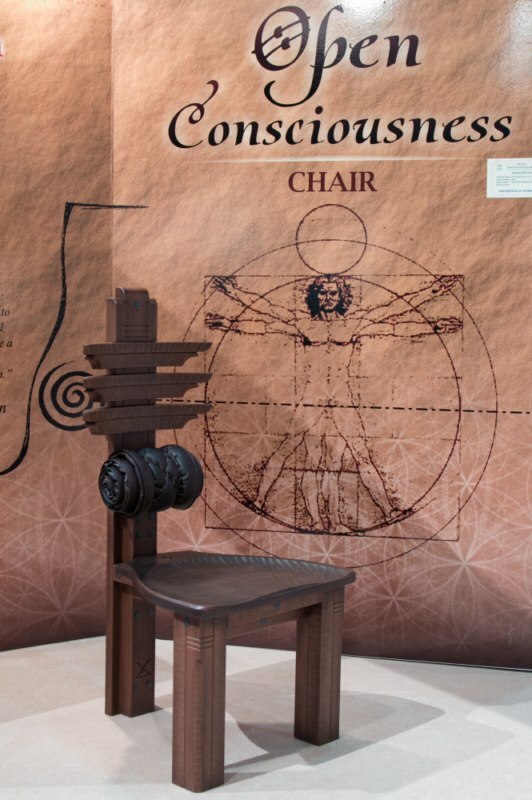 Thanks to all showed until now, Open Consciousness Chair makes vibrational field. The power of this field is strengthened of mountain milk crystals, built in the canal. And once again is strengthened of the semiprecious stones, corresponding with energy centers in the human`s body like color and crystalline structure. 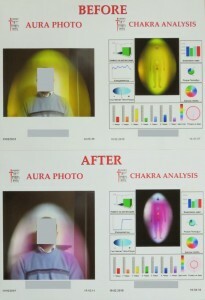 The test, made by aura camera, proves with contemporary methods how the chair`s field influences on the man. 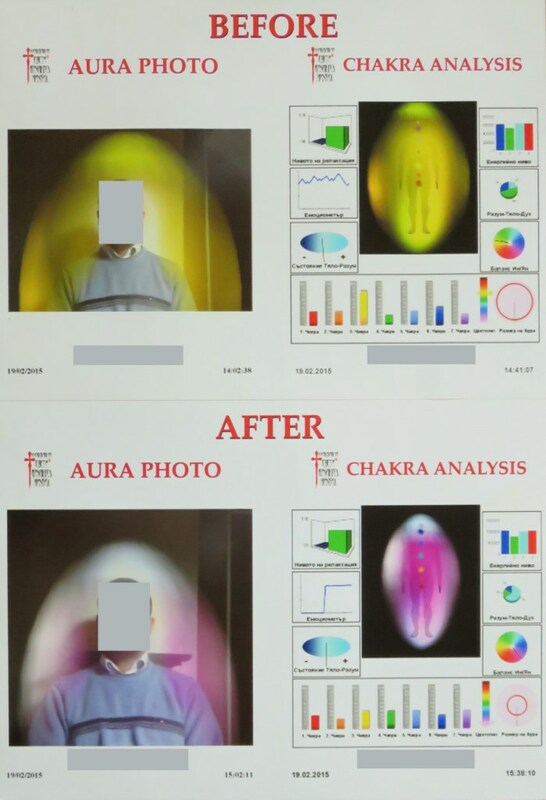 The change of the aura color, emotional condition and the balance of the energy centers define Open Consciousness Chair like instrument for energy harmonization and treatment the stress. Open Consciousness Chair is a canal of the space energies for good health and psychical balance, created with knowledge from the antiquity, with inspiration and of natural materials. USTA DARIN Copyright © 2019.